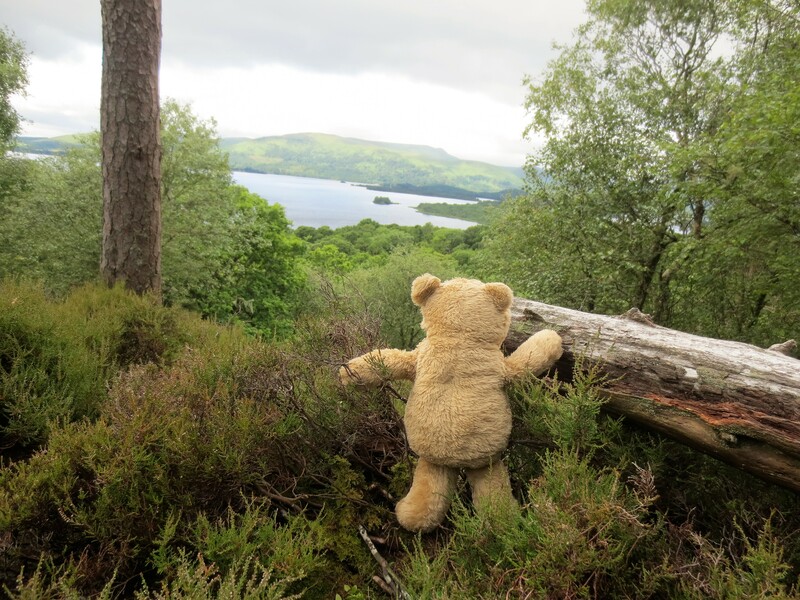 I recently had the opportunity to visit one of the islands in Loch Lomond. 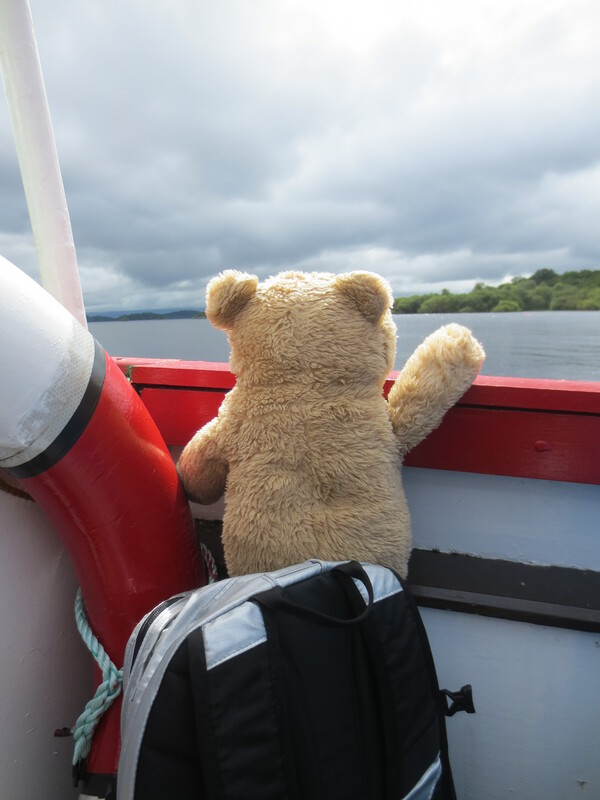 To begin we boarded a boat aptly named the Lomond Warrior. 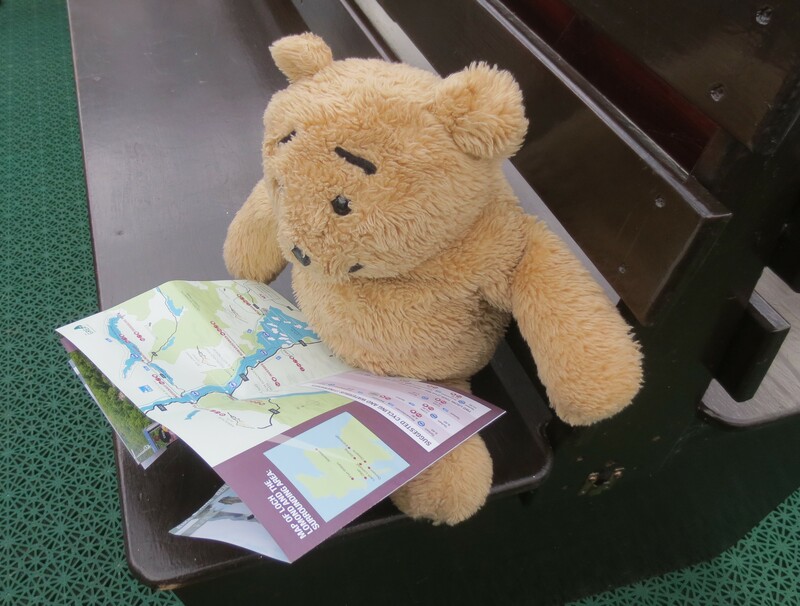 Once aboard I spent a few minutes studying the map. 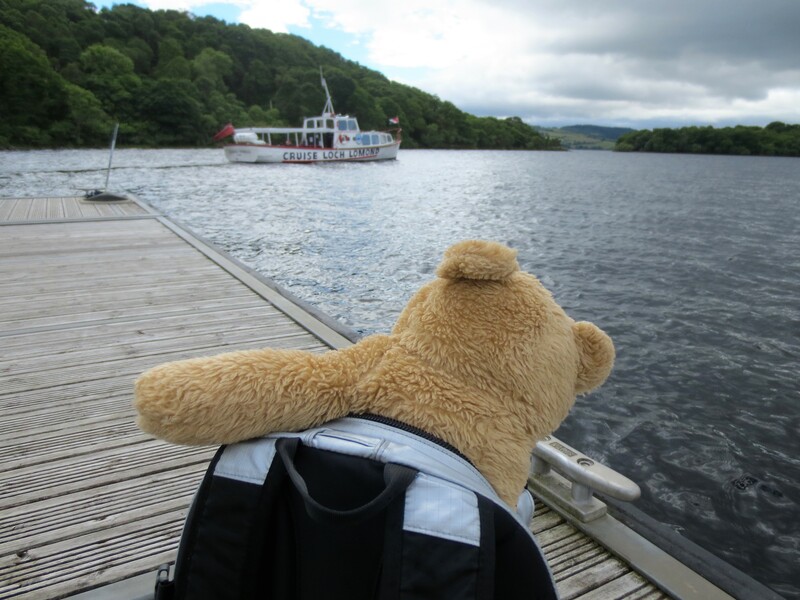 I am a bit cautious about water so initially I decided to sit somewhere safe. 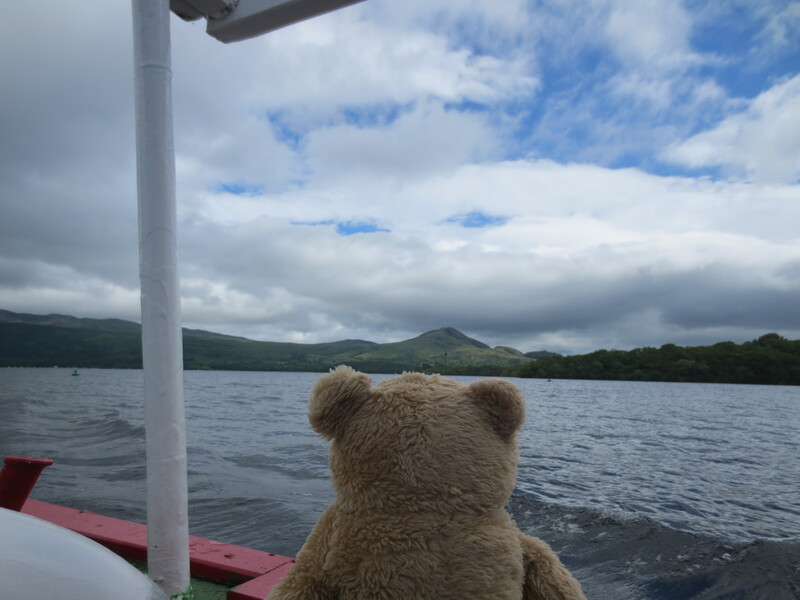 Once the boat got going I climbed up to have a look at the view. 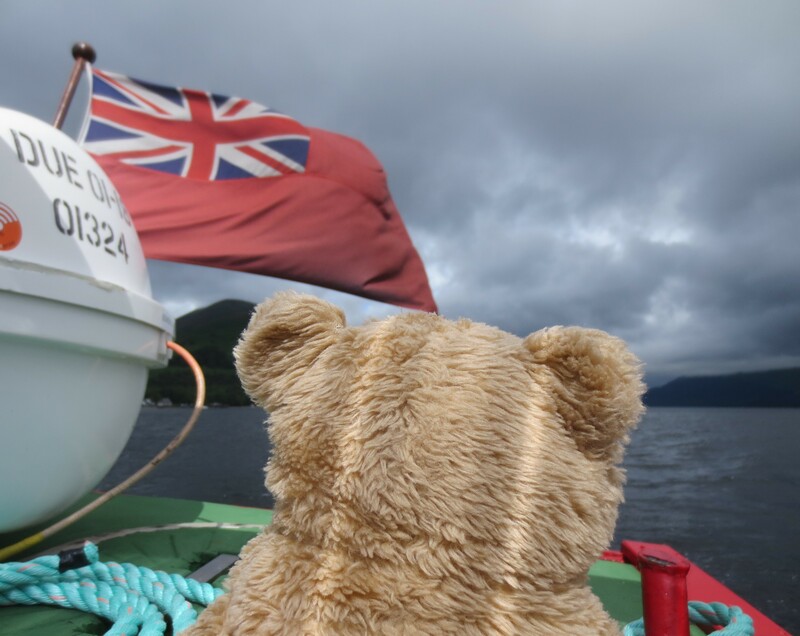 It was quite windy out on the water; good flag flying weather. The boat sailed past lots of little islands, one had a little house on it, but I peered extra closely at Inchconnachan as Wallabies live there. Unfortunately none of them came out to wave. I think wallabies must be shy. 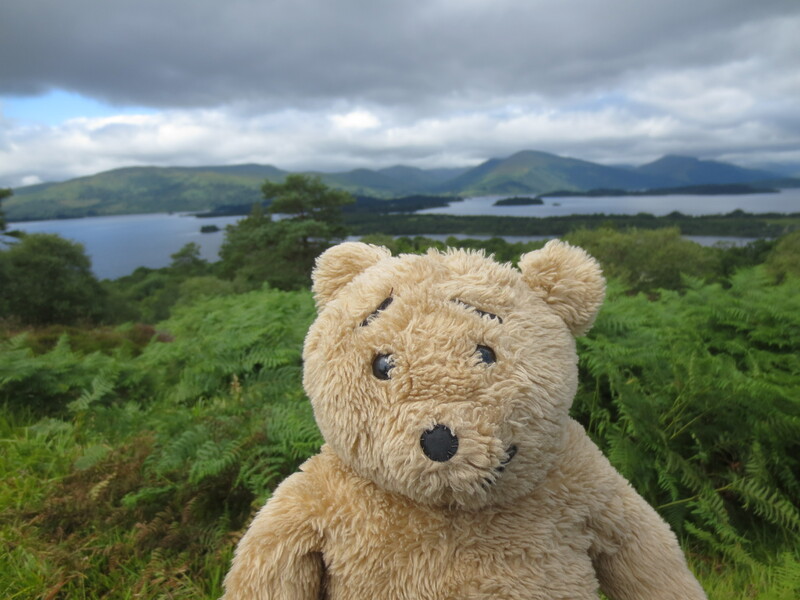 There were lovely views of the mountains all around, but when my human takes photos the camera tends to focus on me (making me feel very important). This means the background in photos sometimes looks a bit blurred. We got off the boat on a little jetty on the island, and had about three hours to explore. The boat sailed off. 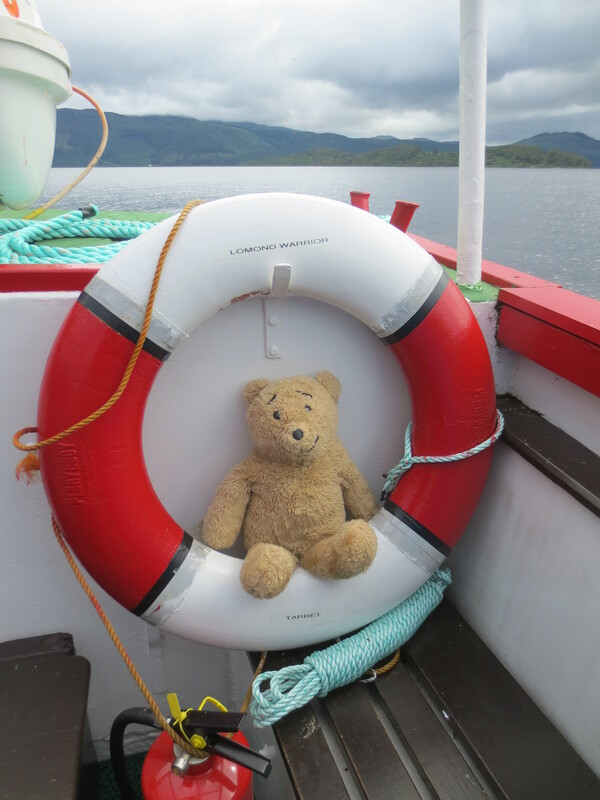 For a moment I was a tad worried that it might not come back, but the crew seemed very nice so I thought it unlikely that they would forget to pick us up again! 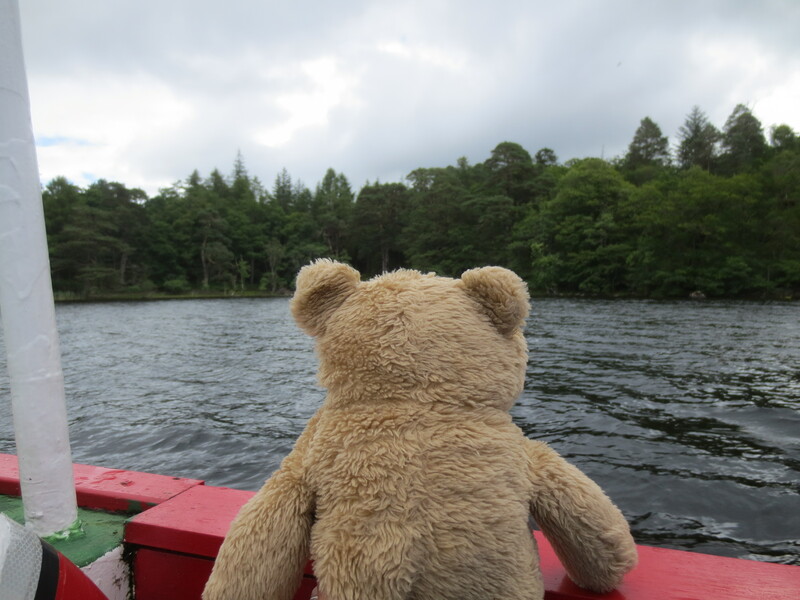 Off we went through the woods, and being a bear, I like woods very much and I like exploring. 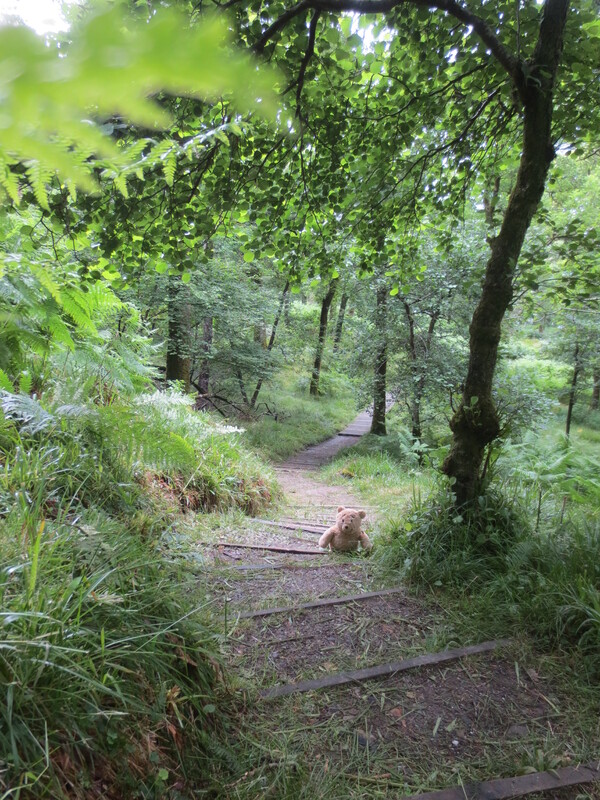 Due to my short stature it does take me a while to get uphill. I also had to keep stopping to admire the wonderful views. 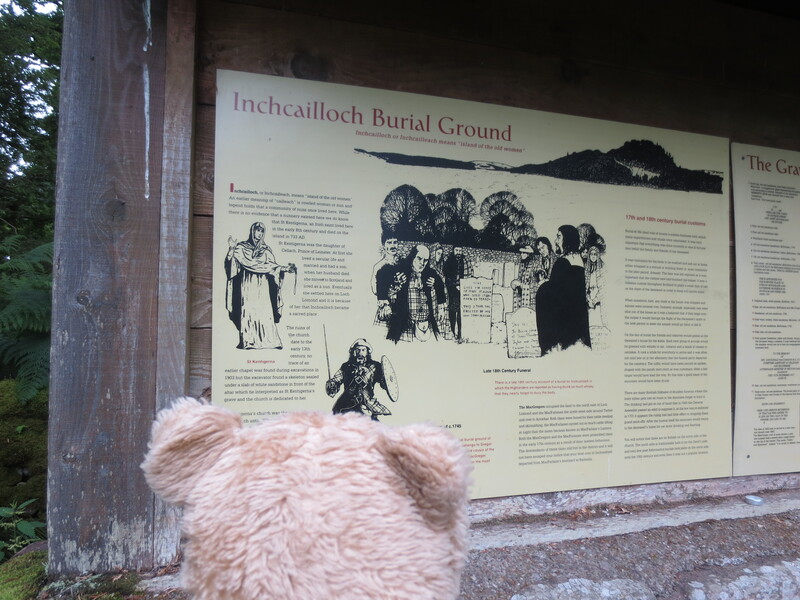 Here I am at the highest point… We walked on and arrived at a burial ground. 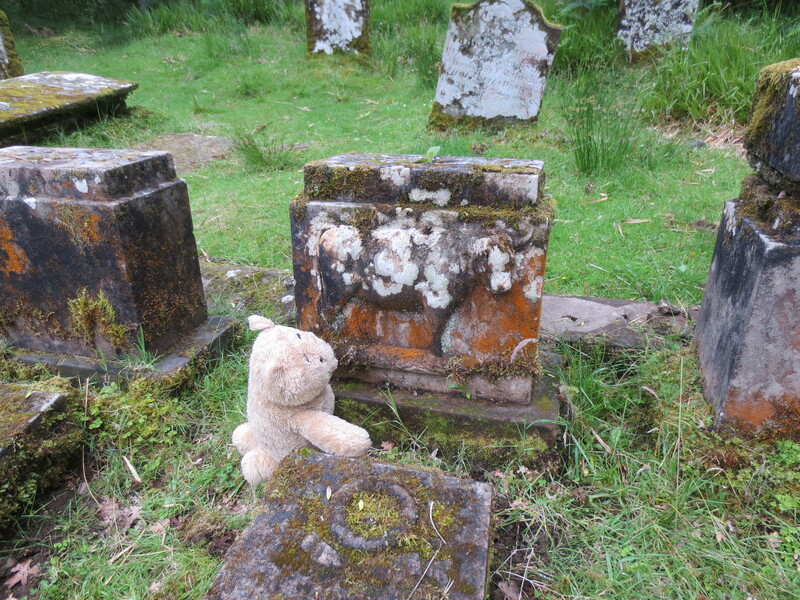 In one grave the cousin of Rob Roy was buried, but I was more interested in the grave that had a highland cow on it. 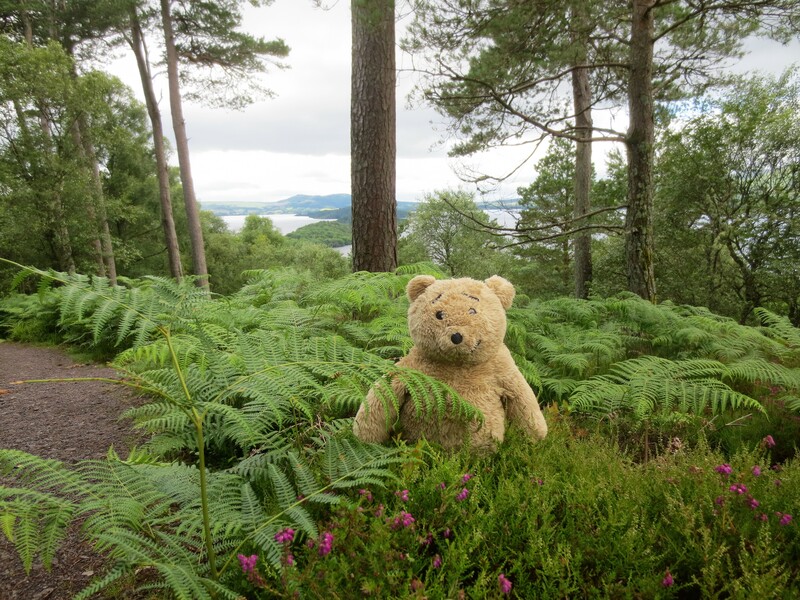 I don’t think a highland cow was buried there. 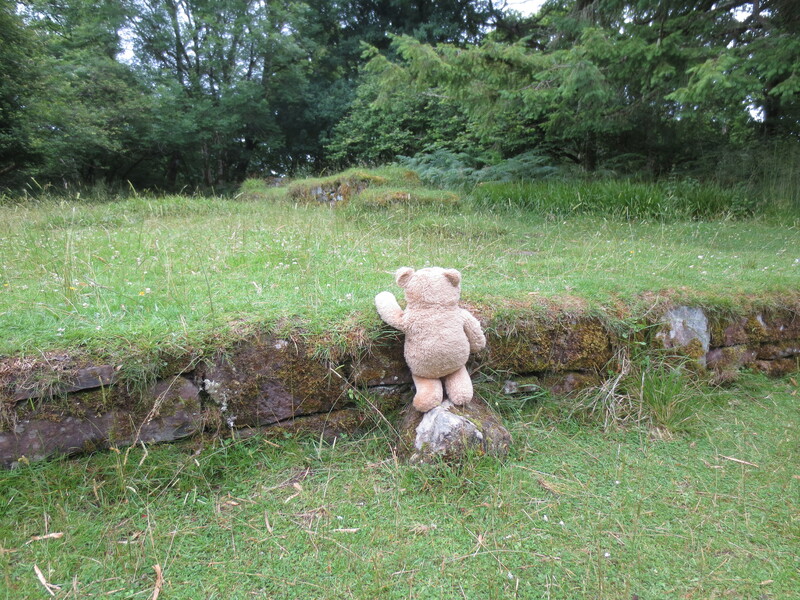 I had a look at the remains of the church, which involved a bit of climbing for me. 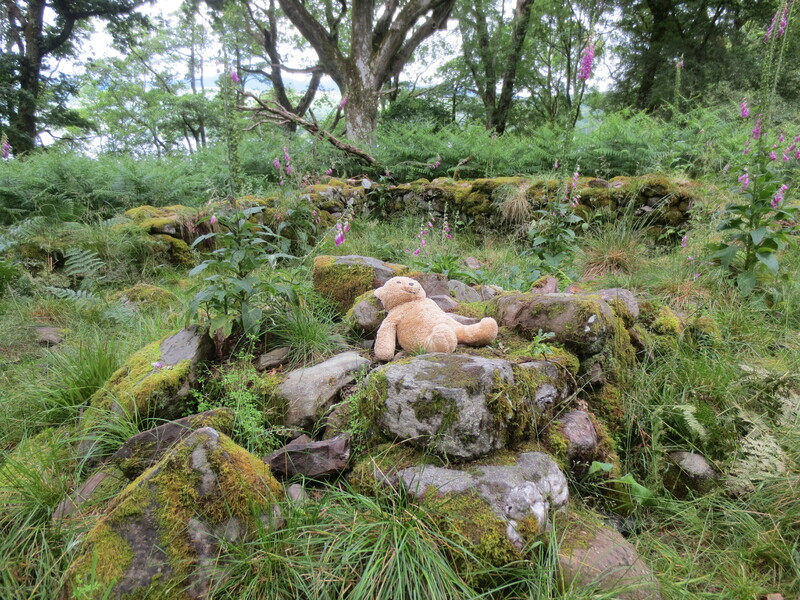 By the time we reached the farm cottage (there isn’t much left of it) I was feeling rather tired so I had a little nap there; Karen calls this ‘power napping’. We continued down to the North Shore where I came across a strange green animal that looked a bit like a dinosaur. 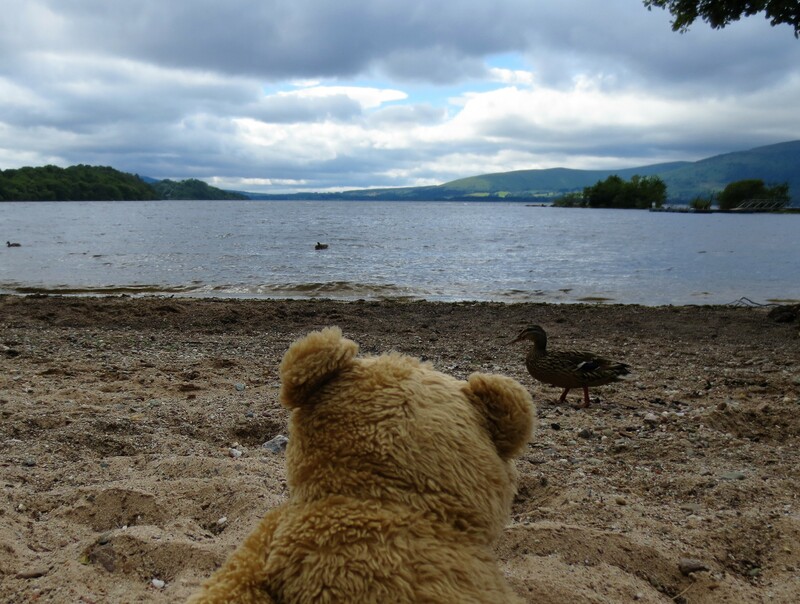 He told me that people have been looking for him for a long time in another Loch. He didn’t hang around for long so we were very lucky to get this photo. 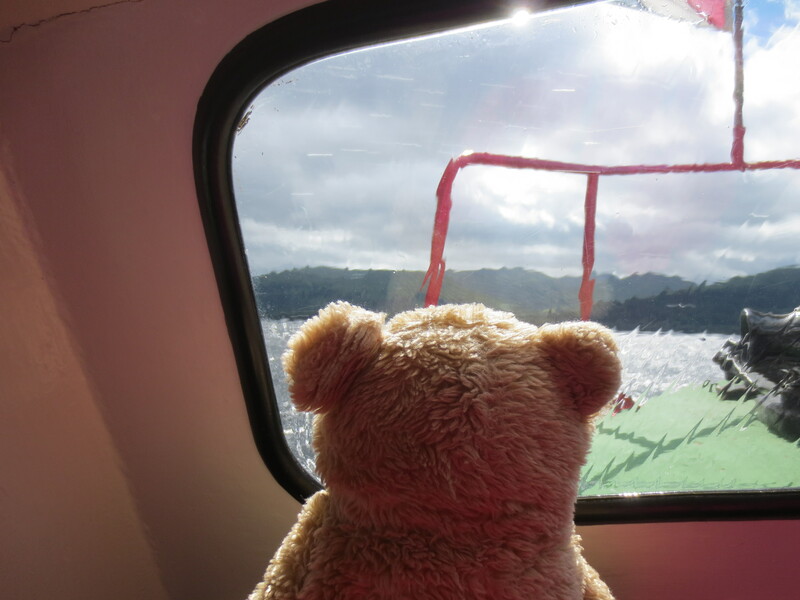 After walking back to the other side of the island again I sat and watched the world go by until the boat arrived to take us back to the mainland. While traveling back a cold wind blew up so I toddled into the enclosed area of the boat and watched the spray splashing onto the windows. When finally back on land refreshments were needed. We found a cafe selling very good bear food. 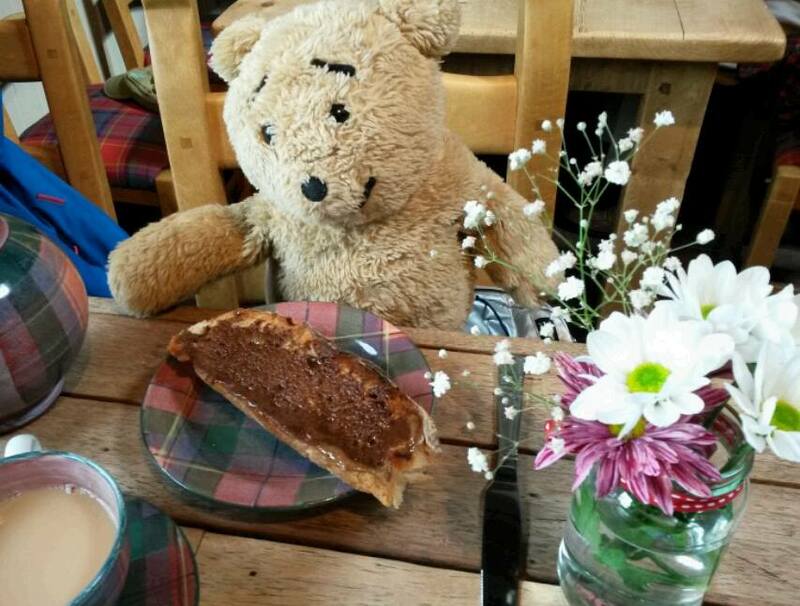 The Coach House Coffee Shop in Luss makes very yummy cinnamon toast. Here I am before eating it, but it didn’t last long! 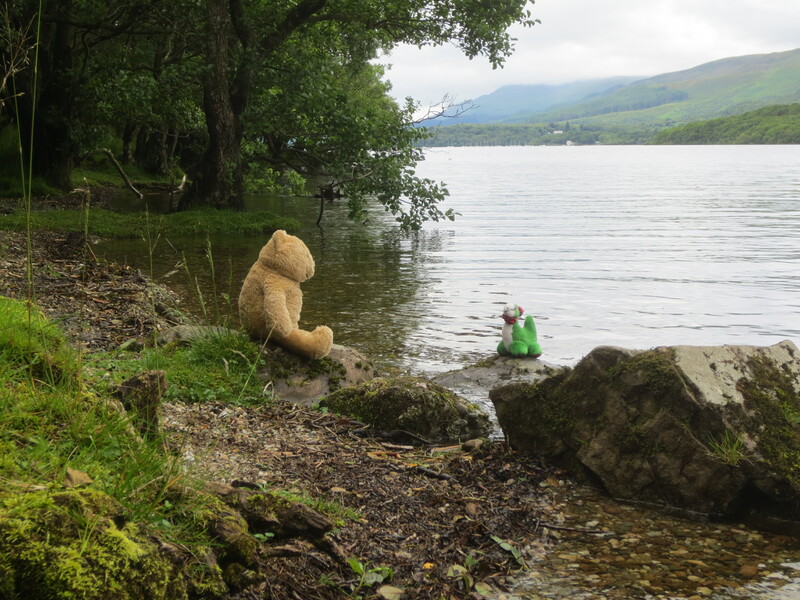 This entry was posted in Uncategorized and tagged inchcailloch loch lomond alresford bear by karenlovestodance. Bookmark the permalink. What a great adventure !